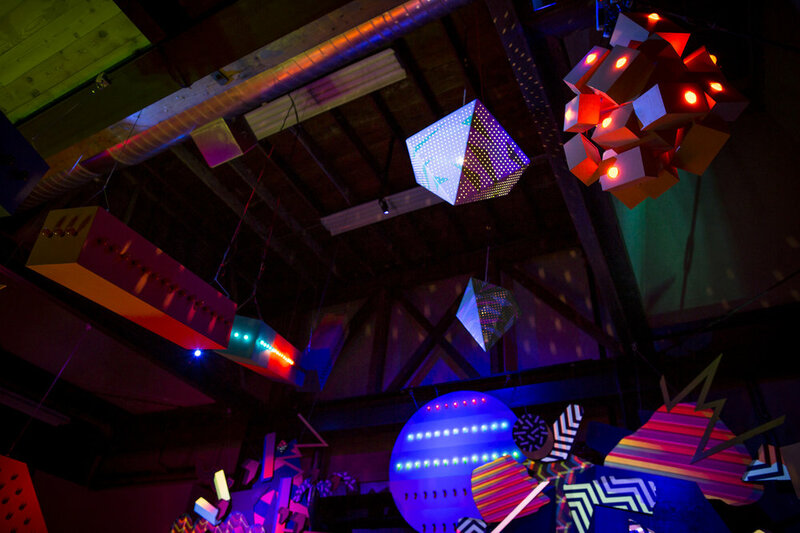 WE was a collaborative, immersive, interactive installation that included sculpture, light, music, and mapped video projections. Visitors used control panels to trigger musical sequences which were synchronized to lights and video. Depending on the combination of buttons pressed, a different song and visual sequence was created. The goal of WE was to create positive interactions between the people who engaged with it. Six panels with buttons controlled the entire piece.